Summary: There are some cases where rental cars can actually save you money and time as opposed to using the mammoth transportation service. 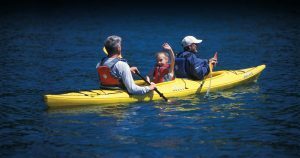 Looking to travel in search of adventure? Well, one aspect that you need to consider is getting around from place to place. And believe it or not, it’s not cheap. Especially when it’s completely possible to rent a car for $15 or less per day – although you might be missing some amenities that most modern cars provide. What if Uber Is Out of Your Travel Network? Now, Uber is a fantastic option when it comes to crowded cities that don’t have the best parking situation, but have you considered the fact that you might not have access to it when travelling abroad? 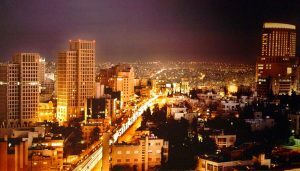 For instance, you might want to opt for car rentals in Jordan or any other foreign country where language is an issue, network service might be lacking or Uber is simply just not an option. 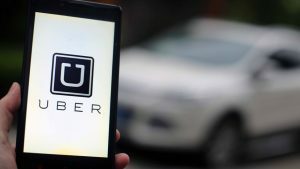 Don’t count Uber out though, it can definitely work as a short term situation but you need to consider the fact that it does add up, especially when you’re on a travel budget. Say you go with a rental car agency like Monte Carlo Rent a Car, LLC as opposed to taking a taxi or an Uber. 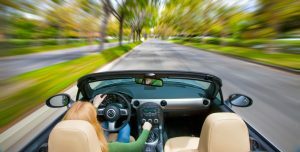 Although you might have to deal with the marginal hassle of refilling the car and returning the car, you’ll also gain more freedom and options to go where you want to go. In addition to that, you also won’t have to worry about raised prices during rush hour, optional tipping (which you should do) or grumpy drivers. 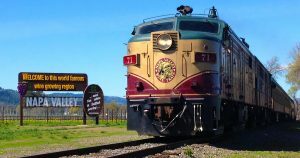 The Napa Valley Wine Train is one of the most interesting attractions, aside from the many wineries, that can draw someone to the area. California’s wine country is the perfect quiet little getaway, and an incredible spot to relax and unwind from the hubbub of the city. While you’re there, be sure to take a ride on the 25 miles of track that snake through the most beautiful parts of the Valley. Most of the Wine Train’s cars were manufactured in 1915, so they’ve been restored over the years. The Pullman Standard Company used them for the Northern Pacific Railway, and they provided limited service to and from the East coast. Modernizing those cars was no simple task. The cars were built from steel, which provides significant safety benefits for passengers. That’s a plus, but they still need modern electrified lighting systems and new amenities (like arched windows and elaborate dining booths). The cars also utilize steam to heat the interior, a nice benefit during the winter. Today, there are a variety of cars to choose from. Some angle the seats against the windows, like a bar, providing a conversation space to watch the landscape as you cruise by. You’ll even find an observation deck on car 1011, which passengers are welcome to utilize any time they like. You can book your vacation through the Napa Valley Wine Train website, or you can call them directly to make a reservation. You can also gift the vacation to a loved one, if there’s someone special you know of who could use some time away. Archbishop James Provence is retired from the Church, and currently resides in Vacaville. There, James Provence is a volunteer docent for the California Railway Museum in Sacramento. Abu Dhabi offers an experience like no other. Abu Dhabi, the capital of the United Arab Emirates, may not have a portion of the pizazz that it’s neighbor, Dubai, has, yet it’s pretty much as exciting and deserving of a visit. The individuals who go to Abu Dhabi will encounter a portion of the more laid-back society, for an absence of better words. It’s somewhat more easygoing with regards to nightlife and tourism, but on the other hand it’s a standout amongst the most recorded goals that you’ll ever see on a trek. Here are some tips that will help you on your upcoming trip to this great city. There are sure traditions that you need to take after when going to Dubai. For one, make certain that you regard the neighborhood traditions and society when you go there. Local people tend to anticipate that guests will oblige with wearing appropriate apparel, which incorporates nothing that is viewed as tight or uncovering. Ladies should cover their exposed shoulders and knees – additionally abstain from bare neck areas. If you are searching for an approach to get around the city, you can visit a monthly car rental in Abu Dhabi. They are shabby, effective, and will help you get around the city in a matter of seconds. Additionally, in the event that you are searching for a car hire in Abu Dhabi, make sure that you are conducting business with a reputable company. There have been innumerable times where visitors have suffered for not reading “between the lines” in the agreement. Monte Carlo Rent A Car, LLC can help you find the best car rentals in Abu Dhabi, Dubai, and the UAE. For more information, visit them online today. 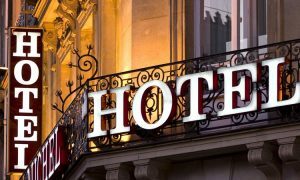 If you own your own hotel, maintenance costs can eat into your bottom line fairly quickly. A mattress replacement here, plumbing work there and soon you’re counting losses in combination with your payroll. If you’re interested in cutting these maintenance costs, these tips will work well for you. If you can find one contractor who can take care of most fixes, half the battle is won. You’ll usually get a bulk discount for sending so much business to that contractor, you’ll employ another small business just like yours, and ultimately the building gets fixed. Show up to hardware stores early on weekends and bring donuts. Strike up conversations, swap business cards and comparison shop. If you order dry fast mattress foam sheets, you can make every bed in the building more comfortable and healthier for pennies on the dollar. 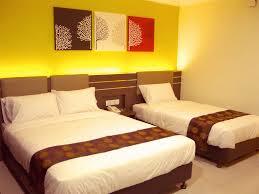 Ordering beds from a supplier can costs thousands, or tens of thousands for larger hotels. Get the sheets custom cut to size, if they aren’t already sized to the bed size, and order them online for free shipping. Managing your inventory is key in avoiding buying too much. The less inventory you keep on hand, the less you pay. The trick is learning how to balance the needs of your customers with the bottom line. Experience will teach you this part better than any other method. Also, managing inventory carefully will help you anticipate demand for certain items better, which can help streamline your menu and make in-house restaurants that much more appealing. Bio: The Foam Factory sells foam mattress toppers, and mattresses cut to size from its factory and retail store in Southeast Michigan. Order online or in store at The Foam Factory. If Hong Kong hasn’t made it on your bucket list, it’s time to start wondering why. This cultural epicenter is rich in traditional architecture with a modern twist. The city is evolving at a rapid pace, and though it’s dense there is a lot to be found for the keen traveler. Here are three experiences you can’t miss if you’re planning a trip to Hong Kong. Sure, you’ve probably been to a swap meet but nothing can prepare you for a Hong Kong Street Market. You’ll hear people shouting prices, haggling over items. You’ll smell fish and meat and vegetables. Fresh fruits and vegetables of all types are there for the buying. It’s one of the most unique assemblage of goods for sale anywhere in the world, reminiscent of old-world bazaars full of merchants hocking wares from far off places. China is known for challenging the tastes of even the most accomplished food connoisseur. One of the prime examples is chicken feet, which is completely delicious once one gets past the concept of eating chicken feet. You will find bones in soup, head of animals and all sorts of food in between. At the very least, be prepared to try something new. There are a plethora of temples, some inside the city proper and some on the outskirts, that are worth visiting. Pick one, and go. The experience is like nothing else you’ll ever do, and it’s difficult to explain why. It’s serene, but it’s also a learning experience. It can be humbling, especially if you visit a temple that allows tourists to dine with monks. It’s an incredible glimpse into a culture preserved over thousands of years.